View How They Work in the Video !! KEY TAG MEASURES 1 1/4" X 2 5/8"
The Versa 200 Key Tag is the key tag of choice, the original self-laminating key tags from Versa Key Tags. 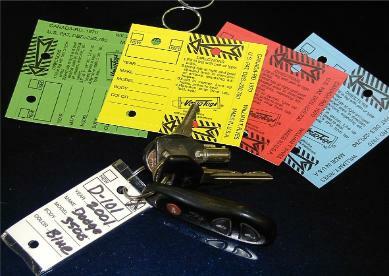 The unique design allows each key tag to quickly & easily fold into a completely sealed plastic covered tag. You can write on these Versa Key tags with a marker, pen or pencil. Because these are laminated they wont smudge or tear.